Unless you’re an amateur chef, the kitchen can sometimes be a scary place. Even after you’ve studied a recipe back-to-back and can recite the instructions by memory, once you begin tossing ingredients together, the pizazz you need to create the perfect dish just disappears. With the Nomiku, you can walk into your kitchen not only with the gadget that will help you cook the perfect meal, but with the confidence of a professional cook. 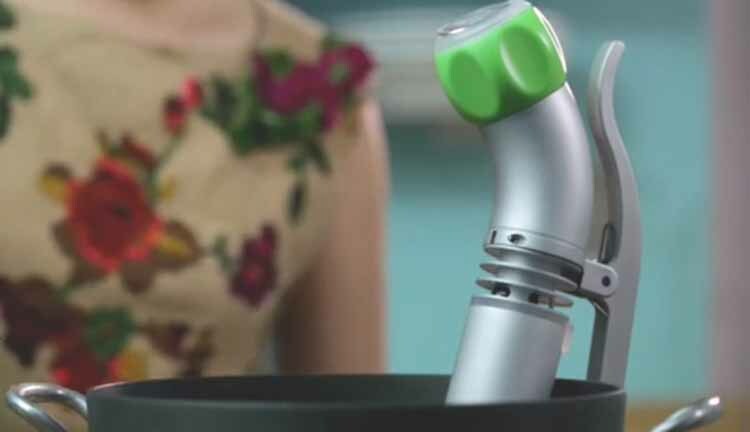 The Nomiku allows any untrained cook to Sous-vide a meal, which is the process of cooking your food using a water-bath or temperature-controlled steam. The Nomiku is easy-to-use, with only one button to press and one knob to turn which controls temperature. Once you have placed your ingredients into a bag, you clip the Nomiku to your pot, set the temperature and let the gadget work its magic. Your results will be consistent and delicious! You can see the Nomiku on Kickstarter today.